Free Software Friday - Proximity by Tokyo Dawn Labs and Vladg Sound. This week it's a plug in from a few years back that slipped under our radar. 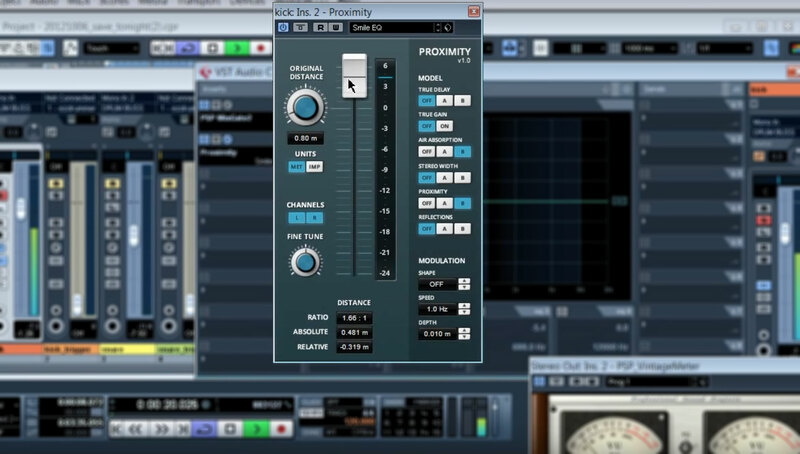 Named Proximity, it's an extremely useful tool for both recording engineers, producers and post-production and sound for TV and Film professionals. It was created as part of the KVR developers challenge and is a collaborative effort by Tokyo Dawn Labs and Vladg Sound. The plugin is based on several psycho-acoustic models and allows you to manipulate the depth of several sound sources and tweak their tone, phase and more too. It could be a great tool used to manipulate audio to sound like it was recorded in different situations or to simulate mic proximity in post-production audio work. The video demonstrates what that plugin can do in terms of fixing and manipulating problematic audio recordings, with multiple instances of the same plugin often used on the same channel. It's a must have for your toolkit and especially handy for those looking to improve a less than ideal recording of acoustic material!